Shortly after releasing its very first mountain bike suspension fork, the Helm, US brand Cane Creek brought out a coil-sprung version. 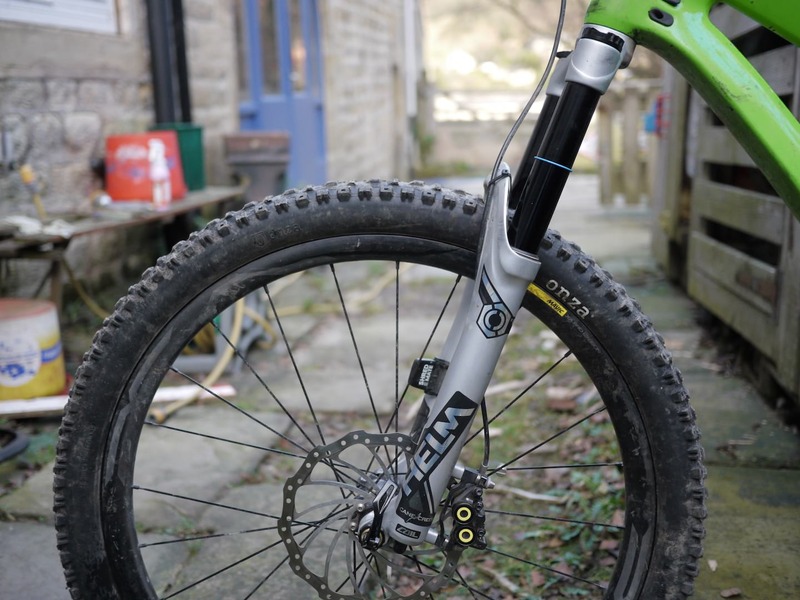 And having amassed no fewer than 7 months of test time aboard this long travel, coil-sprung fork, David Hayward is ready to deliver his review. Over to David! 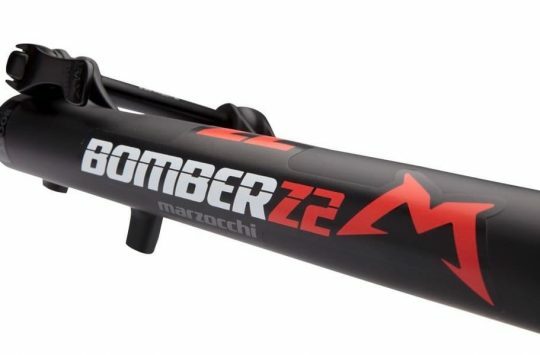 The last time I rode a coil fork was a 2012 Marzocchi. At the time, it was burly and plush. 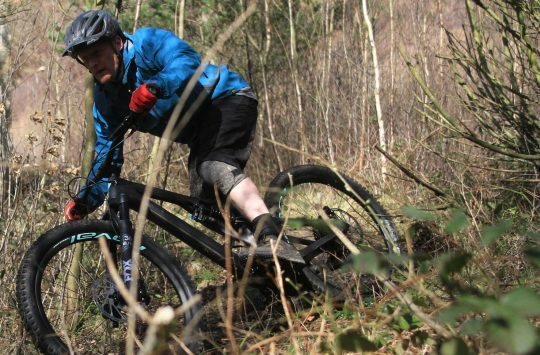 Compared to what we’re riding now though, it wasn’t great – it only had one rather soft spring weight available and, unless you rode with your weight back, would plummet through all 160mm of its travel very quickly. A year later the new Pike came along, and single crown coil forks seemed to fall out of fashion. Fast forward to 2018, and this Cane Creek Helm Coil lands at the office. After such leaps and bounds in air suspension (negative springs! Volume spacers! Aftermarket innards! 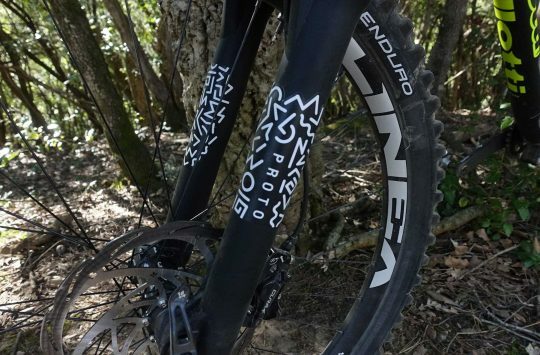 ), I was a little sceptical, but having reviewed the air version of the same fork, knew Cane Creek were unlikely to push an unrefined fork out. Why coil instead of air? Well for a start, it’s simpler and requires fewer seals than an air spring. That equals less maintenance and smoother performance that is more consistent throughout the range of travel. The downsides? A coil spring is heavier and also less tuneable than air, so you have to physically swap springs for different rider weights. The linear nature of a coil spring also means you don’t get the same progressive end-stroke that you can get with an air spring. This may be good or bad depending on your preferences and riding style. One steel slinky goes inside the fork. One of the more nuanced proclaimed benefits of coil suspension is that it works more consistently at different altitudes by eliminating relative air pressure differences. Moving on to coils then also opens up the delightful Pandora’s box of spring physics and preload. I’m not really going to go deeply into the physics of either. Firstly, because I might get it wrong. Secondly, even if I got it all 100% right, having to then still debate it all at length is objectively no fun. I would rather fly an aeroplane on a treadmill, or explain the Monty Hall problem to a goldfish. Springs make bike go good. Me talk about fork now. The Helm is available with 130-160mm of travel and features 35mm stanchions for big-hit capability. The Helm Coil is based on the same chassis as the Helm Air, with 35mm stanchions and up to 160mm travel. Travel can be reduced in 10mm increments down to 130mm. At 2250g, compared to the air version, the Helm Coil adds 200 grams in weight, makes some changes to the travel adjust procedure, and has exactly the same damper assembly. Cane Creek has some good video documentation and a well written manual to download too. 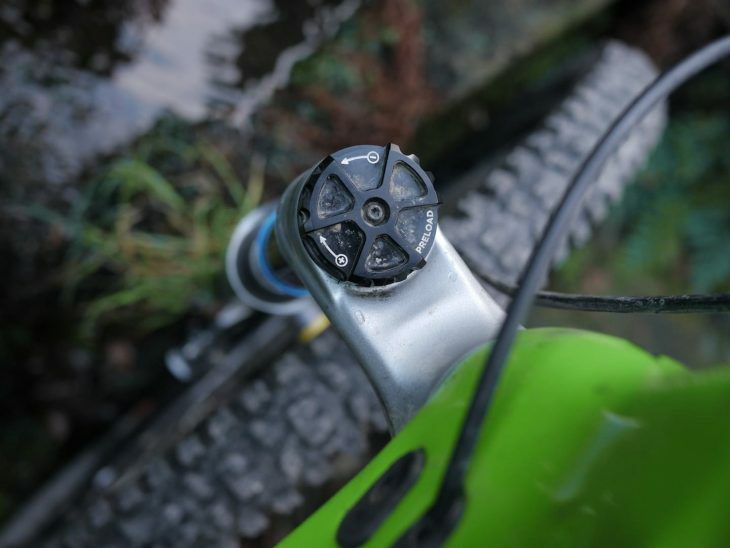 There are four different spring weights available, which are red (35lb, for riders 40 – 54Kg), black (45lb, for riders 54 – 72Kg), green (55lb, for riders 72 – 90Kg), and blue (65lb, for riders 90 – 108Kg). 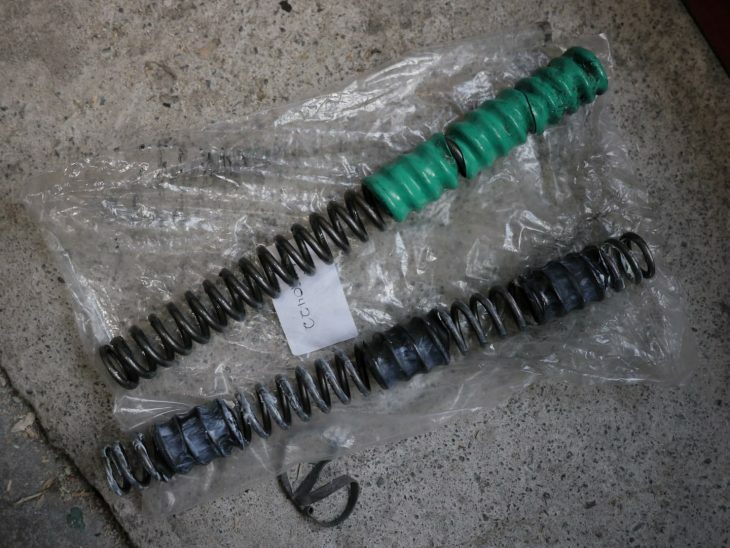 The factory default is the green 55lb spring. Preloading the spring changes the initial feel of the spring. Because I was right on the boundary of the 55lb and 45lb springs, I got Extra UK to send a 45lb one over to try out too. 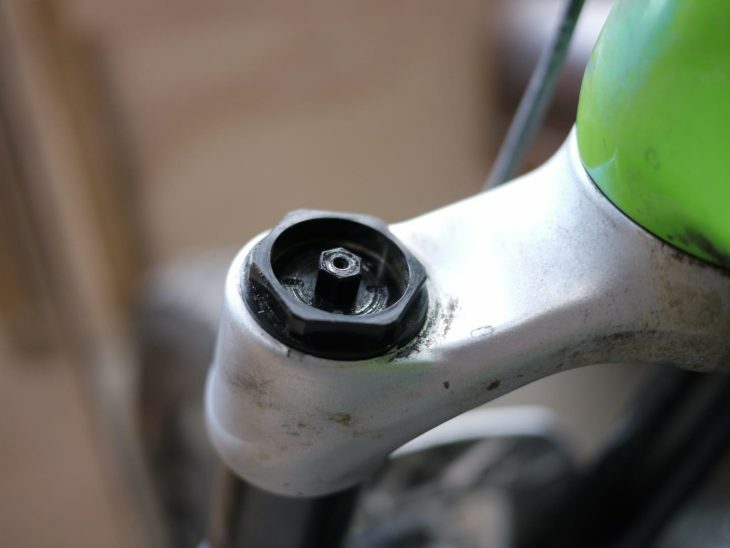 Changing the spring takes less than ten minutes and requires minimal tools – though one is a 30mm spanner, which you might not have just lying around. Simply back off any preload, remove the preload adjuster, then remove the cap below it. Pull your old spring out, grease the new one, drop it in and reassemble with some threadlock. Very easy, and the only really tiny part is the screw to retain the preload adjuster. No springs or small ball bearing detents to lose. …then the top cap, and underneath is the spring. Takes about 10 minutes to change over. 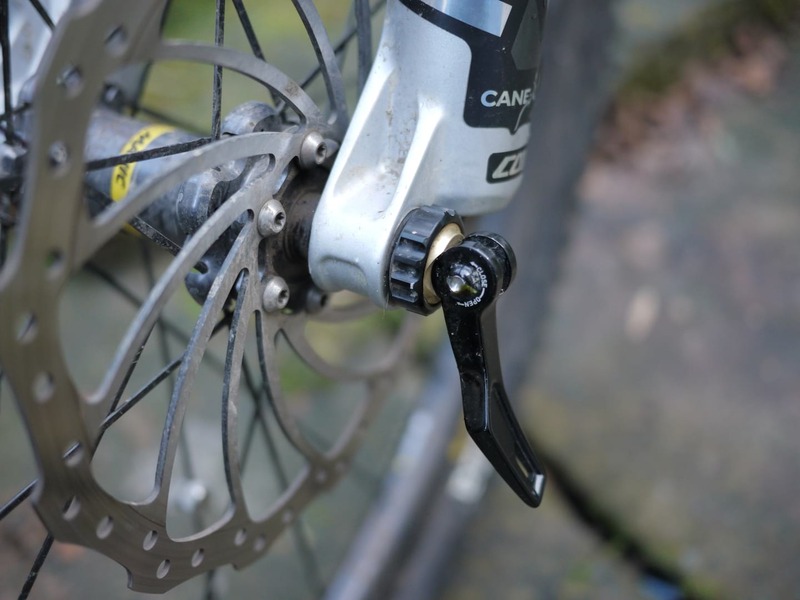 Adjustments are preload on the left fork leg, then rebound, high and low-speed compression on the right. I’m trying not to repeat things from my review of the Helm Air, but this of course has the same D-Loc axle system, which I really like and is one of the more intuitive patent-avoiding axles out there. The D-Loc axle is brilliant. 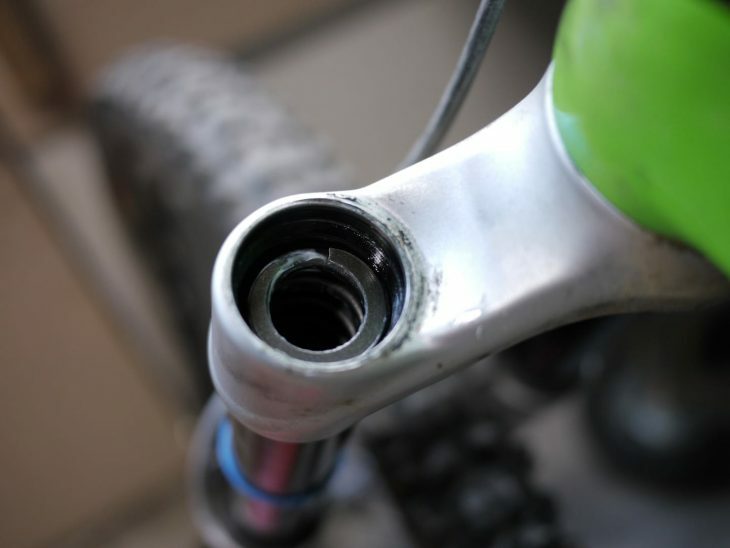 In theory, the keyed design should increase stiffness between the fork lowers too. Check out the MRP Bartlett for a dual crown, slightly lower travel, fork. I’ll be getting a Helm or Ribbon Coil in the coming months. Yum yum! Are the UK not getting the much advertised price drop which the USA are? 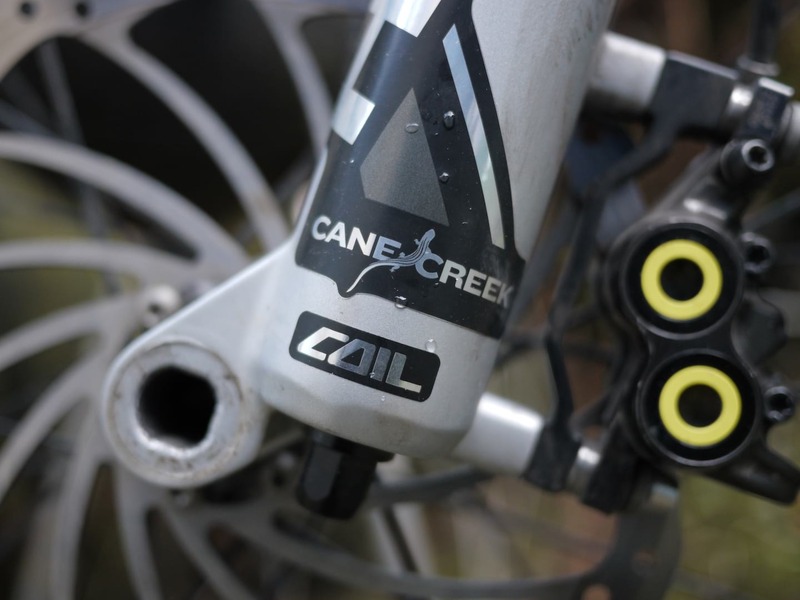 Cane Creek have recouped the development cost on the fork now so dropped the price in the US. This sounds EXACTLY what i need for my Five. Are the fat boy 65lbs springs readily available ? And approx £££ ? But don’t forget the fleabay price showning (£661) needs £58 adding for postage. So really £720. Still lower than MRP or WiggleReaction. Ohh… and that’s from the USofA so there could be a wedge of import tax and VAT to go on top. So maybe not so good really via FleaBay. The D-Lock axle is shite tbh. I’ve got a helm and as soon as it gets a little dirty it becomes a faff. Much prefer the through axle on my pike. @robertajobb Additional springs are £36.95 each; Extra UK can advise you on what they have in. 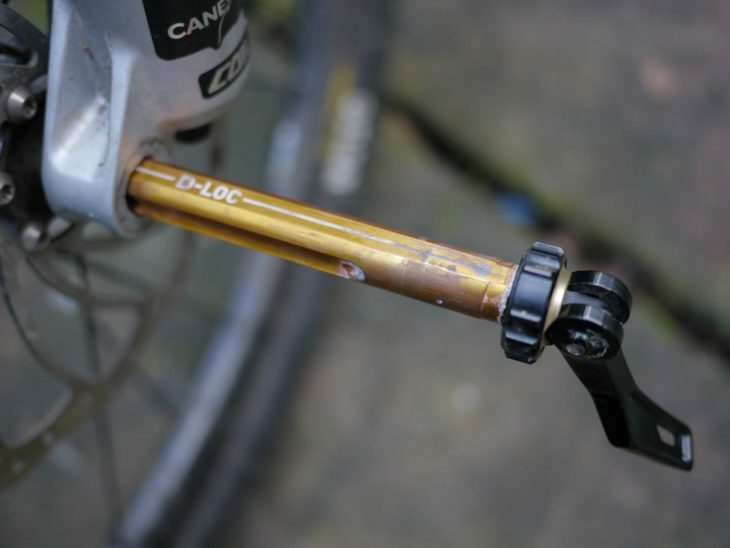 @chevychase I’ve not found that in nearly two years of using Cane Creek forks – this one, and the Helm Air before it. The D-Loc on the air was a little easier to turn the locking tab on, but the coil one has never become a faff. Very interesting read, I got a pair a few months ago and am still feeling my way with them. I put the lighter spring in, right for my weight and ran them wide open cos everyone seems to. They were mega plush on small stuff, rooty sections etc but when it came to bigger hits off drops they felt wrong/scary. Seems they were just diving through the travel so I’ve dialled more HRS in and it’s better but still a work in progress. But yeah, going for bigger spring and running everything open might be the simplest way forward.